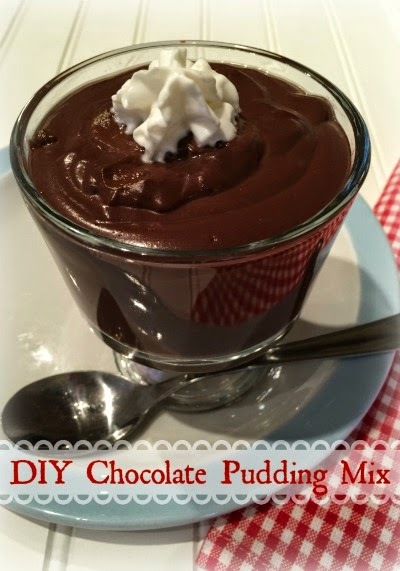 BEST CHOCOLATE PUDDING MIX: The frugal farm girl's DIY ready-made mix series. Welcome to post #2 in my DIY ready-made mix series. I'm glad you're back! Making your own mixes is rewarding in more way than one. Not only do you avoid the unwanted additives found in commercially prepared mixes, homemade mixes make better tasting food. You'll see what I mean when you taste today's recipe! 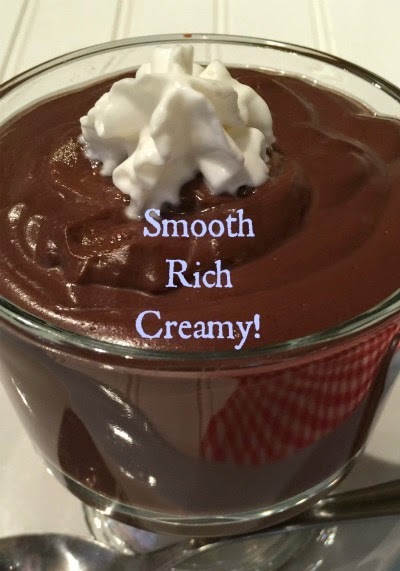 Today, we're making a super rich and creamy chocolate pudding mix. You'll find, as you begin stocking your pantry with homemade ready-made mixes, that there are some mixes you'll use over and over in various ways. Pudding is a good example. Whether you're making it for it's own sake, because as a stand alone it tastes so much better than store-bought, or whether you're adding it to a cake or cookie recipe, pudding mix is vital to any girl's pantry. * I like arrowroot to avoid GMO's, but you'd be safe with organic cornstarch too, it just costs more. 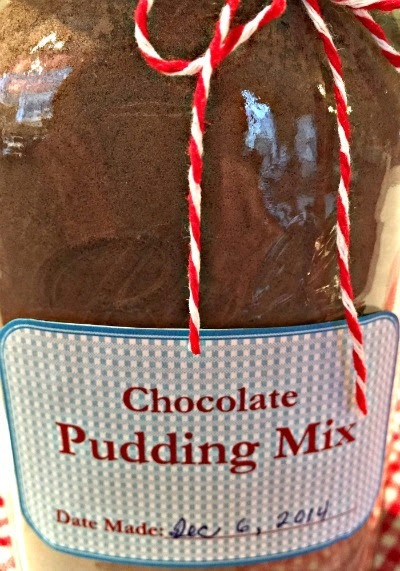 Store your pudding mix in an air-tight quart-size jar in your pantry. One batch of mix is equivalent to 8 boxes of store bought pudding mix. Are you starting to see how making your own mixes can save you money? Combine the milk and pudding mix in a medium sauce pan over high heat for about 2 minutes, stirring constantly with a whisk. When the mixture nears a boil, reduce heat to medium and continue to stir for another 3 minutes, or until the pudding thickens. When the pudding is thickened, turn off the heat and immediately stir in the chocolate chips until melted and thoroughly combined. Let the pudding rest for at least 10 minutes before serving, or chill in the fridge for an 1 hour. Store unused pudding covered in the fridge in an air-tight containeer, and use within 1 week. PANTRY TIP: When using your pudding mix in recipes that call for a boxed mix, simply replace with a 1/2 cup of your homemade mix. 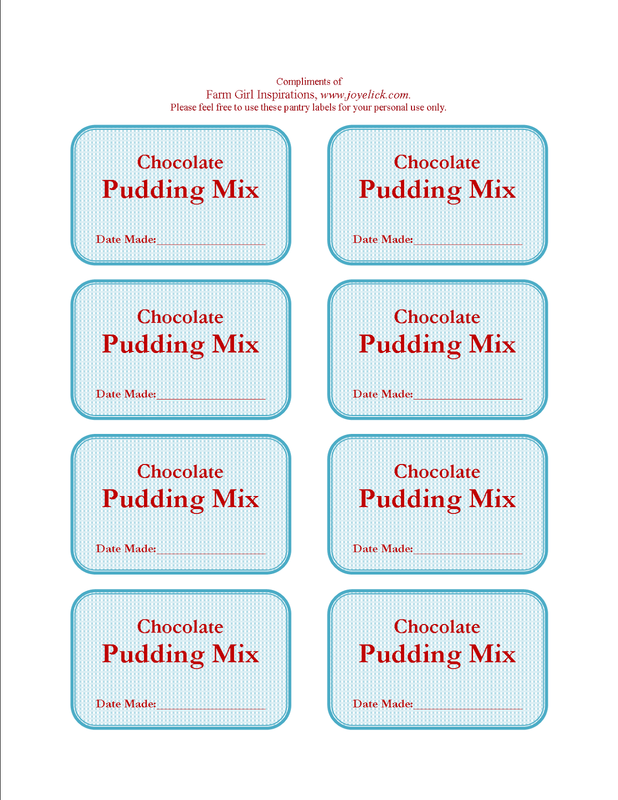 Don't forget to label your ready-made mixes! You may have noticed that the pudding mix looks very similar to the brownie mix. This will happen a lot as you stock your pantry with homemade supplies, so always label your products. And remember to date them too. 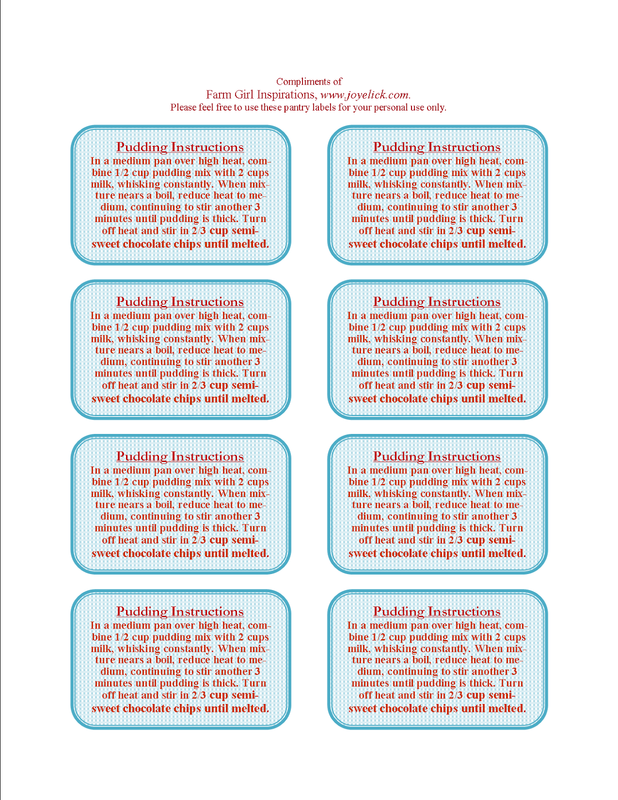 To help you out, you'll find that each post in this series contains a link to a free downloadable page of 8 labels and baking instructions to attach to your homemade mixes. These labels are simple and easy to read, and done to look a bit retro (which I love) with their lettering and color scheme. You can print your labels onto white card-stock, cut them out, and use double-sided tape to stick them to your jars of mixes. Or, keep it super simple and print your labels onto this sticker paper by Avery. Just cut them out and stick them right to your jars. Enjoy! CLICK HERE to download the free labels. I will be making this...one question though? What is dark chocolate powder? I use cocoa a lot but I don't think I have seen dark chocolate powder before. Thank you for the recipe.